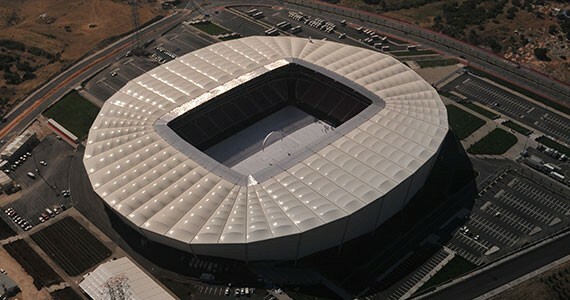 Fabric Structures is used as a permanent tensioned membrane structure in the sports, transportation, retail and specialty markets. 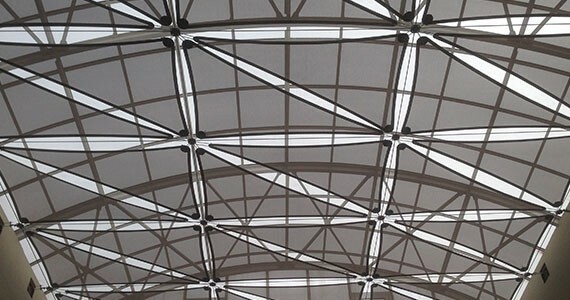 Fabrics are available in a range of strengths and light transmission levels, providing the user with a choice of membranes to cover virtually any size structure from a full-sized stadium to a relatively small skylight. The facade of a building represents the most impressive element reflecting the character of the building. 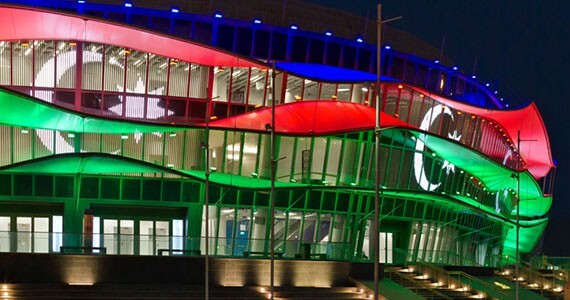 Textile facade constructions offer the considerable benefits of low weight, exceptional durability and, in some cases, outstanding self-cleaning properties (dirt-repellent). The traditional single umbrella has transformed into an aesthetic item of lightweight architecture. 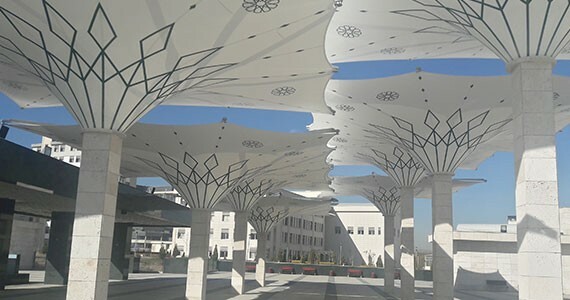 We developed technically advanced materials as well as unique scientific methods to expand and improve the design of lightweight umbrella structures.